You’ve probably been harassed and threatened. Being “in charge” of anything means telling people when they can’t do something. This leads to threats. From your community manager to the manager at a McDonald’s to the CEO of a major company. It will happen and to believe otherwise is just not realistic. Furthermore, yes, you are limited as far as what you can do about mean people online and the resources you can spend on them. We can’t get sidetracked and spend unnecessary chunks of time on people like this. But just because both of these things are true does not also mean that you should do nothing. Not at all. Unless you want to send the wrong message to both your community and your community manager. Who Wants to Work For You? Your community manager is a person. Do you like them? Better yet, do you want to retain them? Or do you want to have a revolving door of people in that role? Because if you allow community members to attack your community manager in any way that they choose, you are driving your community manager away. It’s only going to increase the chances of burnout. Eventually, most people are going to get sick of taking abuse without any consequence for the abusers. They will move on. You will lose them. They won’t have to leave the profession, either. As I told CM, this boss is in a tiny minority in how they are handling this issue. Most people who employ community management professionals do not expect those people to be threatened and harassed by community members to no end, without any repercussion. 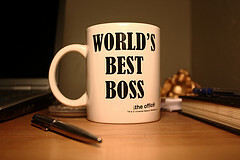 Most bosses aren’t like that. If you let this happen, I believe that you are a terrible boss. I would not want to work for you and would never refer any of the professionals I know to you. When you allow people to harass and threaten your community manager, but not other members, you are creating an environment where, by default, the community manager is not respected. In your community, your community manager is an authority figure. For better or worse. Think about all of the authority figures that have existed in your life. Of the ones you respected, how many of them would have simply tolerated a threat from you, without any consequence for you? None of them? Even if you hate to think of your community manager as an authority figure, you should want them to be generally respected in the community. They don’t have to be liked or agreed with – but they should be treated with respect. If not, their job becomes harder. If you are a member of a community and you see other members viciously attacking the leadership and being allowed to do so, constantly, do you think you will respect that person when they tell you that the comment you posted was inappropriate? Probably not. Have guidelines that detail what is and isn’t OK on your community. Don’t allow your members to treat your community manager substantially different than they would treat other members. A little flexibility in the name of getting feedback? Fine. But not a wholesale regression of what the community stands for. There has to be a line somewhere. I have a team of volunteer moderators. It is obviously very different from having employees, but it is also a team of people who remove content which can make them a target for abuse. My moderators are awesome. They are great people. And I want to keep them around. For this reason, if anyone personally attacks them (or worse), I deal with it very harshly. There are things that you can say that will result in your immediate ejection from the community. When a member treats me or a staff member disrespectfully, but a ban isn’t warranted, I let them know that the remark isn’t appropriate and won’t be tolerated moving forward. I always redirect any criticism onto me. If someone is unhappy with what a moderator did, they should really be unhappy with me. And then we can discuss it. But there just isn’t any room for personal attacks, much less threats. That’s how you respond to these challenges. You have guidelines, and when someone crosses the line, let them know. When they demonstrate they don’t care, or do something particularly bad, get rid of them. Be glad they are gone. Find a new boss. Seriously. Don’t put up with this garbage. No one should deal with threats of death or violence while their boss says, “that’s too bad, but don’t take any action against them.” It’s horrendous. Now, I realize there are reasons why this may not be practical. You need the job. You need the money. You have a family to support. You like the job other than this one part of it. You are waiting for options to vest. Whatever it is. In that case, you can try to convince your boss. I won’t tell you to ignore the trolls or grow a thicker skin because that advice is useless. At the very least, you’ll have to figure out how to cope. We all have to find our happy place. For me, one of the best things I do is share everything with my staff. The good and the bad. They see the nasty messages I receive from people. If you can’t do anything about it, you can at least commiserate and hopefully get some laughs out of the craziness of some of your members. This is one of the ways that I have built a tight knit team. Remember that the community isn’t all bad and try to give more weight to those moments where it surprises, delights and appreciates you. It’s worth noting that some threats should be taken more seriously than others (no matter what your boss says). I have heard many people say that if you feel uncomfortable, you should go to the police. But I’m not sure how helpful that is in practice. Especially if the threat is vague and you know nothing about the person making it. I was just talking with a couple of my moderators – both of whom also work in law enforcement – about the threats I receive, how serious I should take them and what’s actionable for the police. The big thing is that if you receive threats that are specific – for example, they talk about where you live, what they will do, etc. – you should give more weight to them. But we all have a different line and comfort zone. You have to do what’s right for you.